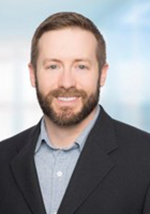 Matt Obenhaus is the Director and General Manager of Cerner’s Open Developer Experience, an API approach to standards-based and open innovation. Matt has been at Cerner for 8 years in various business development and product management capacities across Cerner’s Population Health and CareAware device connectivity businesses, and joined the Cerner Open Developer Experience team in the middle of 2017. Previously, Matt received his MBA from the Tuck School of Business at Dartmouth, served in the United States Army as an Air Defense Officer, and attended Texas A&M University.